The rise of circular economy is driving business model innovation across all industries, with a key spin-off being the emergence of ‘something-as-a-service’ business model. The lighting-as-a-service (LaaS) is fast emerging as an innovative service delivery model in the lighting industry. The transition to LaaS is mainly motivated by numerous short- and long-term gains, increased cost savings, enhanced energy efficiency, and better control of resources. In addition, a large number of LaaS providers and end users can harness the capabilities of a wide array of digital analytics, with the IoT at the forefront. The lighting-as-a-service model is fast gaining traction across businesses who want to unleash the value proposition of the LED technology. Several end-use organizations, particularly government facilities, restaurants, and hospitals, seek to garner substantial cost and energy savings brought about by using LED lights. The LaaS model helps them get over expensive retrofits and avoid large upfront capital investment since they usually pay monthly subscription fees to the provider throughout the contract. Driven by reduction in maintenance cost and a better control of lighting, restaurants and hospitals are increasingly shifting from traditional fluorescent lighting to LED lighting for all spaces. The LaaS model helps them ease installation of fixtures, negotiate monthly rates, and increase energy savings over time. Typically, LaaS providers audit the energy usage from lighting and demand a percentage of the energy cost savings for the upfront investment they make in retrofitting. Once the contract matures, buildings can own the LED lights, which further leads to sustainable benefit enjoyed by the end users. During the contract, all technological upgrades are managed by the LaaS provider, and any significant advancement may warrant for new contract; however, the end users do not need to invest any capital upfront, thereby enabling them to enjoy efficient lighting continuously. The global lighting as a service market is displaying significant growth due to the increasing demand for energy efficient lighting systems and support from several governments for phasing out traditional lighting systems with energy efficient ones. Lighting as a service (LaaS) refers to a service delivery model wherein light service is provided based on a subscription model rather than a one-time installation model. The basis of the idea is that manufactures install, maintain, and operate customer’s lighting systems and does not have any upfront investment for the customer. The global lighting as a service market can be analyzed by end-user, installation, component, and region. By end-user, the market can be segmented into commercial, industrial, and municipal. The report extensively relies on primary and secondary research sources and makes use of industry-centric databases and tools. The analysis of the report will prove to be a useful instrument for stakeholders of the global lighting as a service market. Worldwide, the development of smart cities is one of the major factors driving the global lighting as a services market. Some of the benefits of deploying lighting as a service include no upfront costs, lower energy conservation, no maintenance liability, improved lighting experience, and savings on energy bills. Lighting as a service also enables the ability to obtain add-on functions and systems such as remote management, data collection, and inter-device communication. The increasing use of IoT for the design and functioning of street lighting is also anticipated to propel the demand for lighting as a service solutions across the globe. The commercial end-user segment is expected to present lucrative growth opportunities to this market. Lighting as a service offers energy savings and reduction in energy bills, which is attractive for commercial end users in view of increasing focus on energy conservation and sustainability. The indoor installation segment is expected to lead in the near future retaining its dominant position as held in the recent past. The fast development of the commercial sector in developing countries is favoring the growth of the indoor segment in this market. 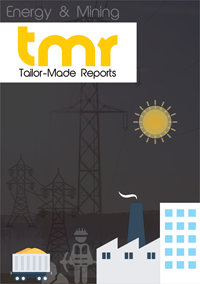 However, the outdoor segment is expected to register fastest CAGR during the forecast period. The increasing convergence of Internet of Things (IoT) for effective street lighting solutions is the major factor behind the growth of the outdoor installation segment in this market. Outdoor installation includes street lighting, parking garages, park and recreational areas among others. However, the abundance of low quality LED products in the market that have performance issues is posing a huge challenge to the lighting as a service market. The lighting as a service market can be analyzed with respect to the five broad regions of North America, Asia Pacific, Europe, Latin America, and the Middle East and Africa. Amongst these, North America is the leading regional market due to the governmental support for replacing traditional lighting systems with energy efficient lighting systems. The region is closely followed by Europe. Some of the key companies in the global lighting as a service market include Koninklijke Philips N.V., Zumtobel Group AG, Lunera Lighting, Itelecom, General Electric Lighting, SIB Lighting, Igor Inc., and Cree Inc. The top players are focused on contracts and agreements, partnerships and collaborations, and investments and expansions in order to gain a competitive advantage and translate into business growth.